Welcome to the website of author and journalist Bill Sizemore. 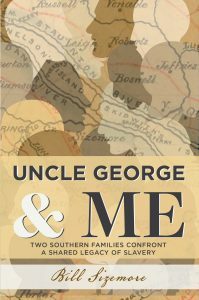 Bill Sizemore spent eight years researching and writing the story of his slaveowning Virginia ancestors, their slaves, and the descendants of those slaves. The author's great-great-great-grandfather was a small-time tobacco farmer in Mecklenburg County, Virginia. In contrast to large planters with hundreds of slaves, he was far more typical: He owned fewer than 20. The book traces the lives of generations of African-Americans who descended from his slaves, up to the present day.